Made in Italy in DiveSystem, since 1993. Handmade tradition, experience, best quality materials and attention to details. This is the way we made our BCDs, for the best reliability, performances, and safety. DiveSystem BCDs are chosen and trusted by the Best Military and Special Forces in Italy, Europe, and Worldwide. BCDs There are 11 products. Made in Italy in DiveSystem, since 1993. Handmade tradition, experience, best quality materials and attention to details. 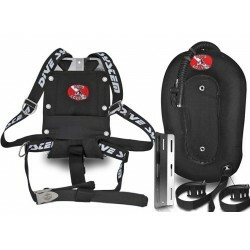 This is the way we made our BCDs for Tech diving both donut and wing style. Looking for the best reliability, performances, and safety. 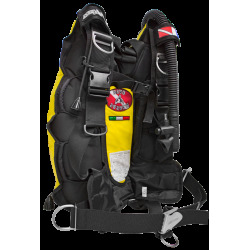 Not for nothing DiveSystem BCDs are chosen and trusted by the Best Military and Special Forces in Italy, Europe, and Worldwide. Made in Italy in DiveSystem, since 1993. Handmade tradition, experience, best quality materials and attention to details. This is the way we made our Wing style BCDs. Looking for the best reliability, performances, and safety. Not for nothing DiveSystem BCDs are chosen and trusted by the Best Military and Special Forces in Italy, Europe, and Worldwide. Made in Italy in DiveSystem, since 1993. 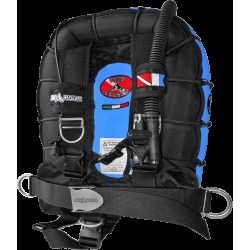 A full range of lightweight but resistant BCDs designed for traveling and single tank diving. Handmade tradition, experience, best quality materials and attention to details. This is the way we made our Wing style BCDs. Looking for the best reliability, lightweight, performances, and safety. Not for nothing DiveSystem BCDs are chosen and trusted by the Best Military and Special Forces in Italy, Europe, and Worldwide. Made in Italy in DiveSystem, since 1993. 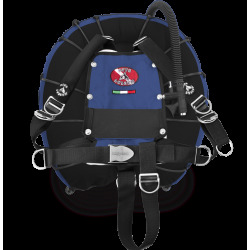 The hernesses of DiveSystem's Tech BCDs can be used with all the DiveSystem tech Air Cell (Donut and Horseshoe wing) and with all the Air Cells that respect the Tech diving standard wheelbase and holes size measures. Made in Italy in DiveSystem, since 1993. 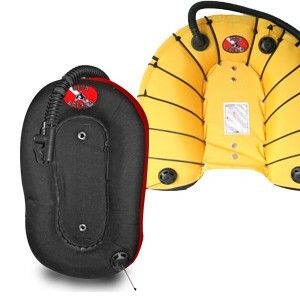 The Air Cell (Donut and Horseshoe) of DiveSystem's Tech BCDs can be used with all the DiveSystem tech Harnesses and with all the backplates that respect the Tech diving standard wheelbase and holes size measures. 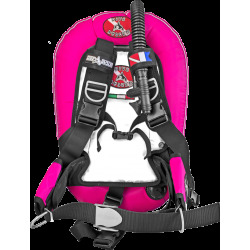 Super Lightweight, resistant and colorful, you will love the Key J BCD 12. 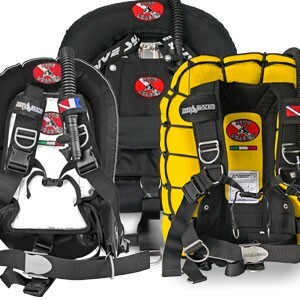 12 lt Wing-style BCD, stainless steel D-rings and double buckle for single tank. 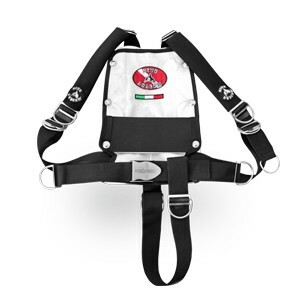 Our best BCD for traveling, made with the best Italian quality and style. Lightweight, resistant and colorful, you will love the Key J BCD. 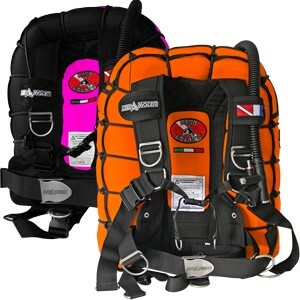 18 lt Wing-style BCD, stainless steel D-rings and double buckle for single tank. 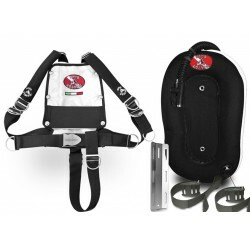 Our best BCD for traveling, made with the best Italian quality and style. 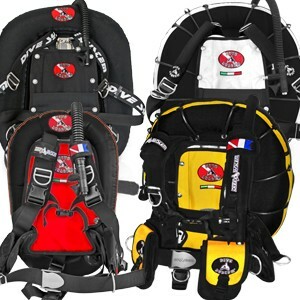 The Fly Tech is the perfect combination of a recreational and a technical BCD. Wing Style air cell, weight-dedicated pockets on the back and lightweight. Made with Cordura 1000 with Flat-Felled seams (Double sewed) for the best Resistance. Made in Italy, in DiveSystem. 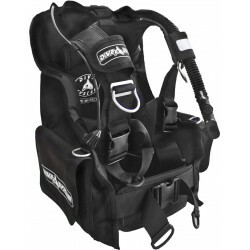 X3M Mod is DiveSystem best technical BCD. Simple, Modular, Comfortable, Strong and Reliable. Minimal configuration with adjustable shoulder straps without any seam or release. Compatible with all wing-style air cell, both Donut and Horseshoe. 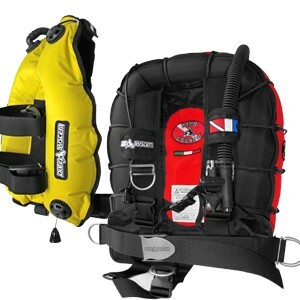 The minimalist BCD configuration for your tech dive. Shoulder straps without buckles and no seams at all. Technical crotch strap (without quick release) and wing style Donut air cell dedicated to Double Tank diving. The minimalist BCD configuration for your tech dive. Shoulder straps without buckles and no seams at all. 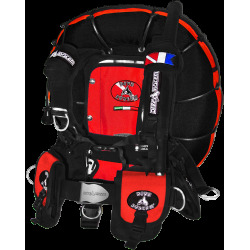 Technical crotch strap (without quick release) and wing style Donut air cell dedicated to Single Tank diving. A traditional BCD made to last a lifetime. Cordura 1000 outer shell and stainless steel D-Rings. Made in Italy, in DiveSystem.